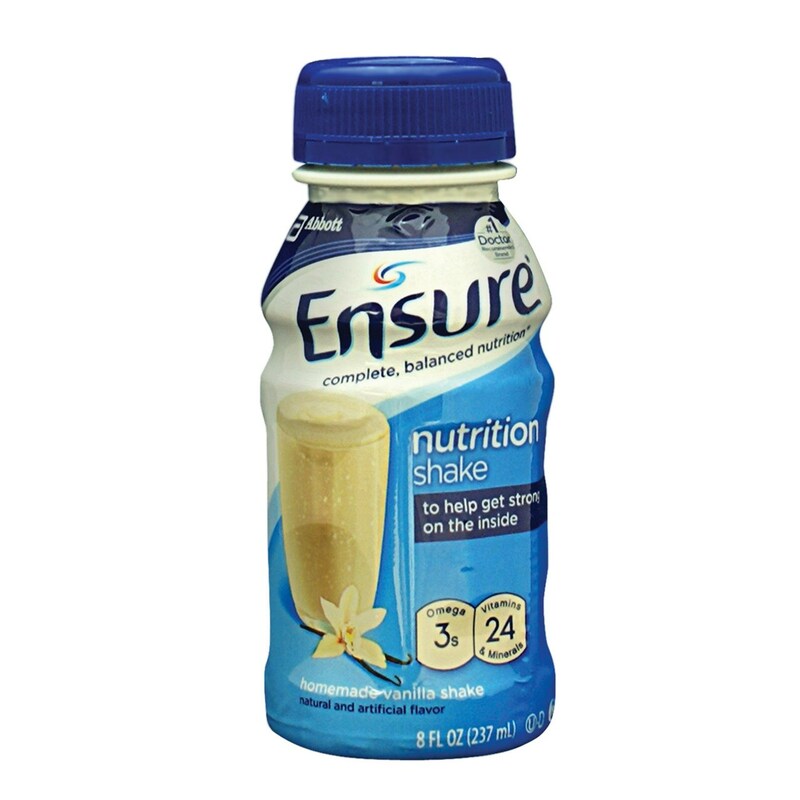 Rich, creamy-tasting Ensure provides complete, balanced nutrition. Use as a delicious meal supplement, occasional meal replacement, or convenient between-meal snack. Can benefit people who are: on modified diets; at nutrition risk; experiencing involuntary weight loss; recovering from illness or surgery; or on low-residue diets. Not for parenteral use - drink orally for interim or sole-source nutrition. Nutritionally complete, with protein, vitamins and minerals, and plant-based omega-3 fatty acids to support heart health. Available in a wide variety of flavors to suit every taste. Features: Complete, Balanced Nutrition; Meal Replacement, Nutritional Supplement, or Snack; Low-Residue; Kosher; Halal; Lactose-free; Gluten-free; Not for patients with galactosemia. Flavor: Creamy Milk Chocolate. 8 fl oz Bottles (Case of 24).